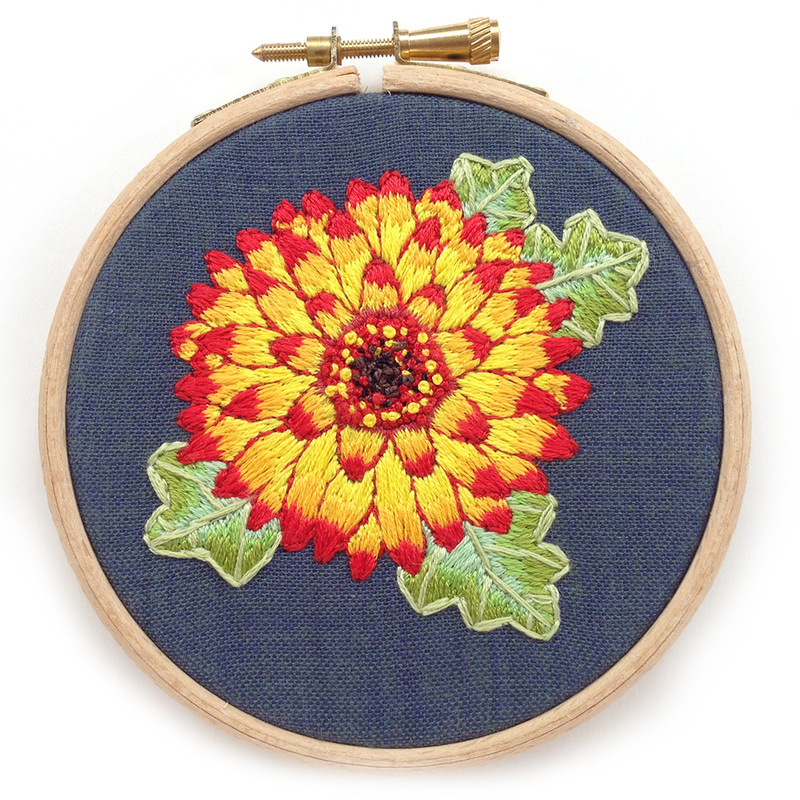 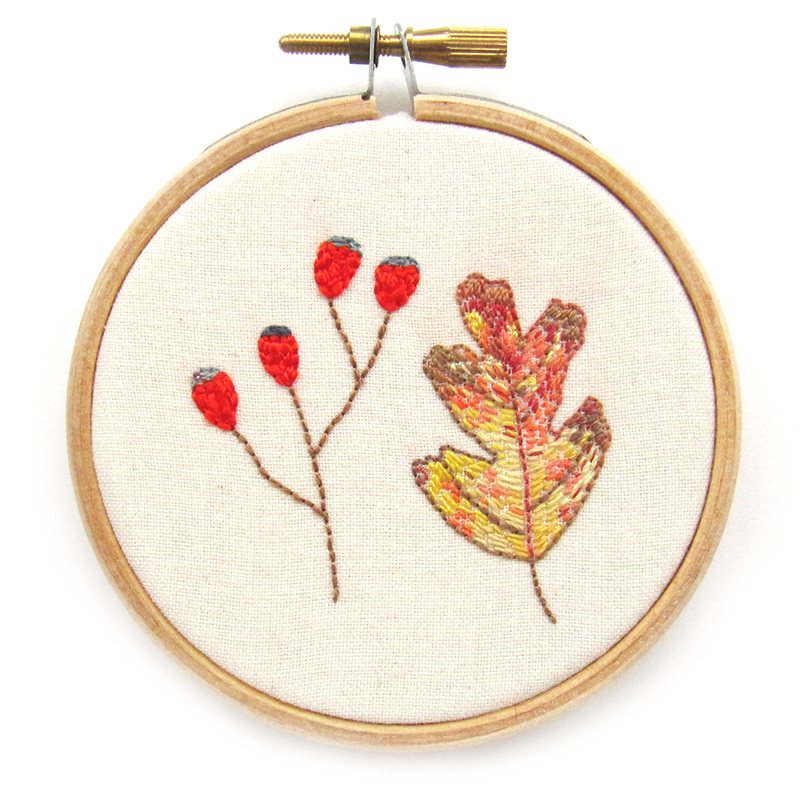 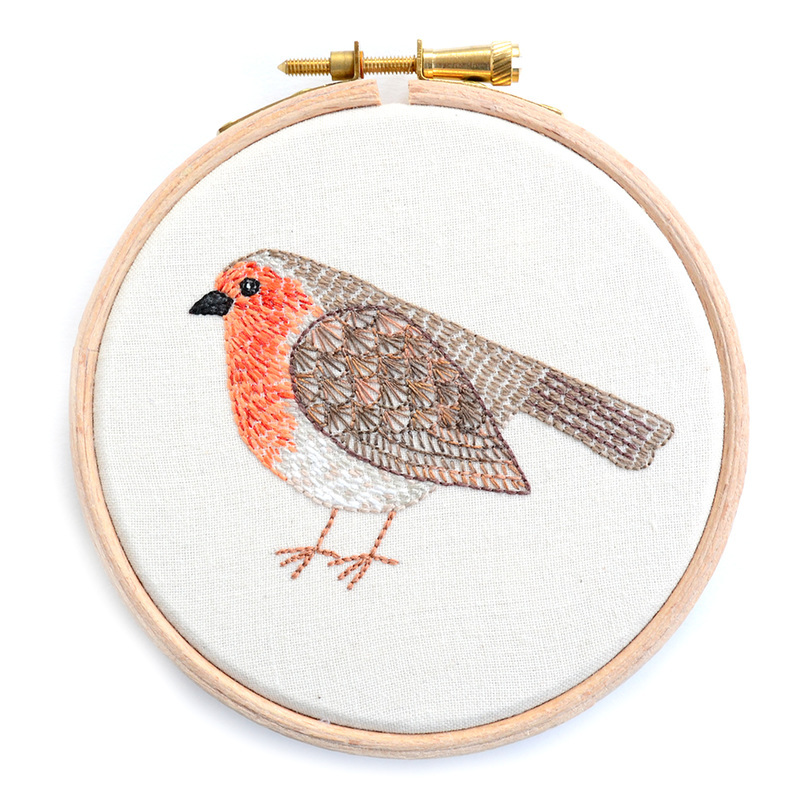 I work with a variety of threads and usually stitch onto cotton calico or linen blend fabric. 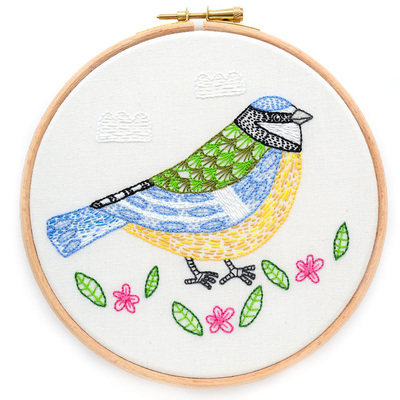 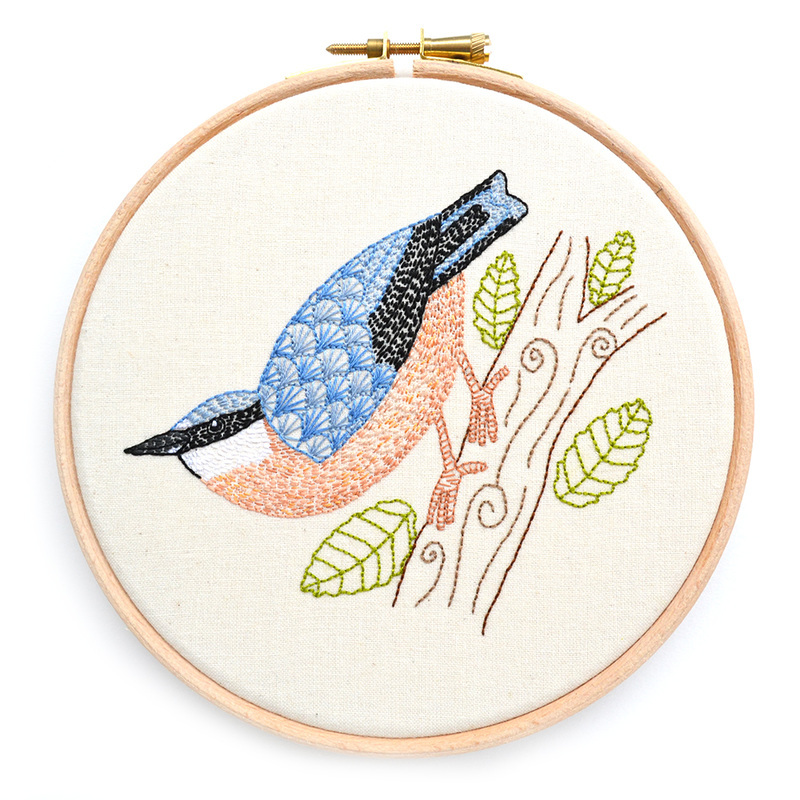 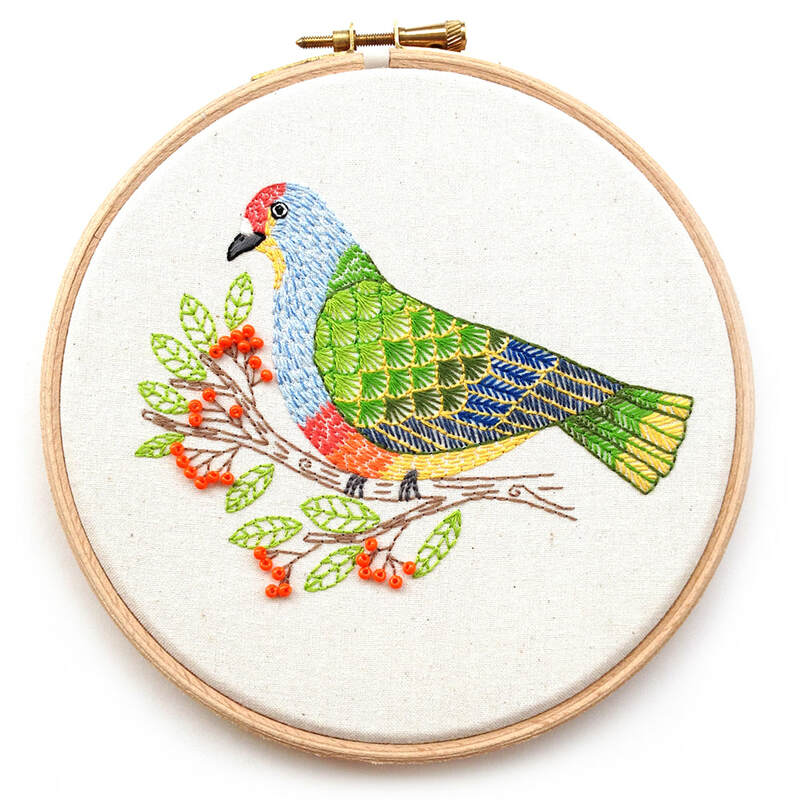 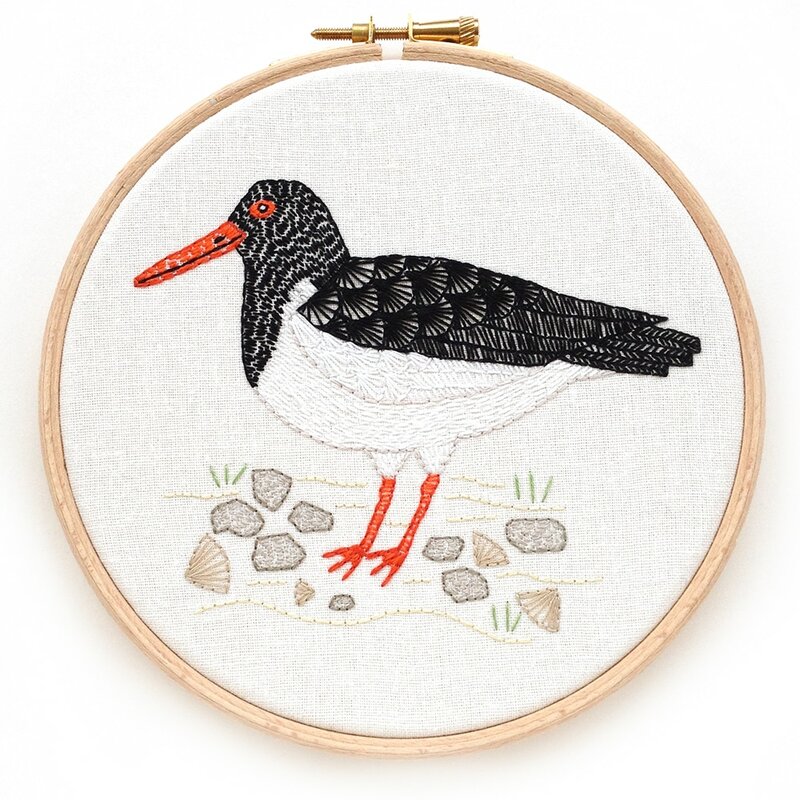 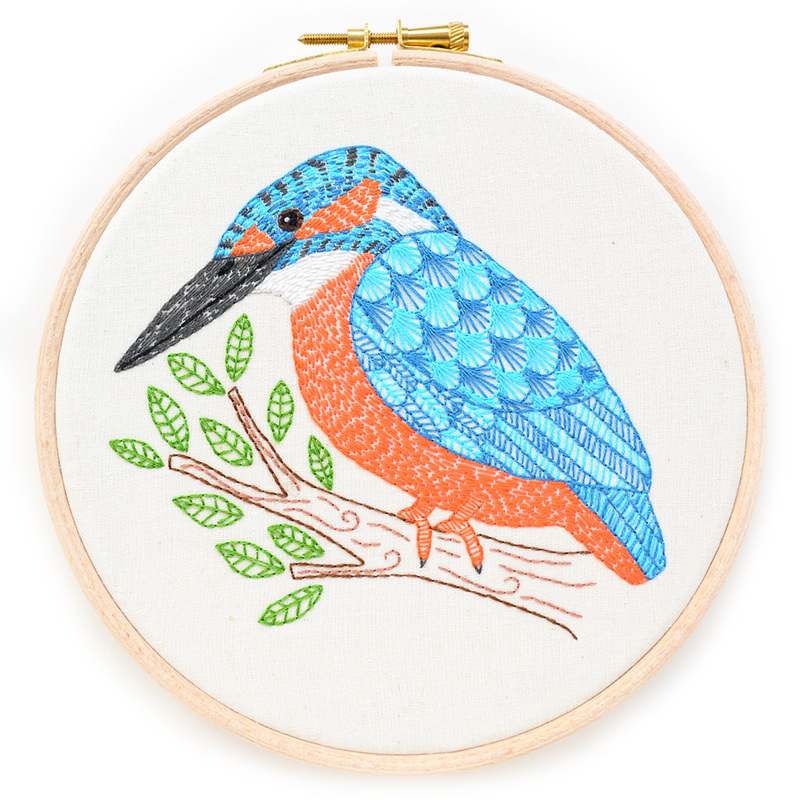 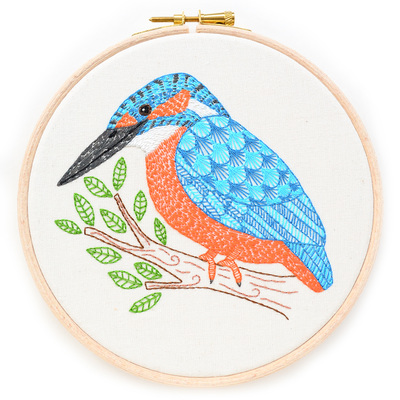 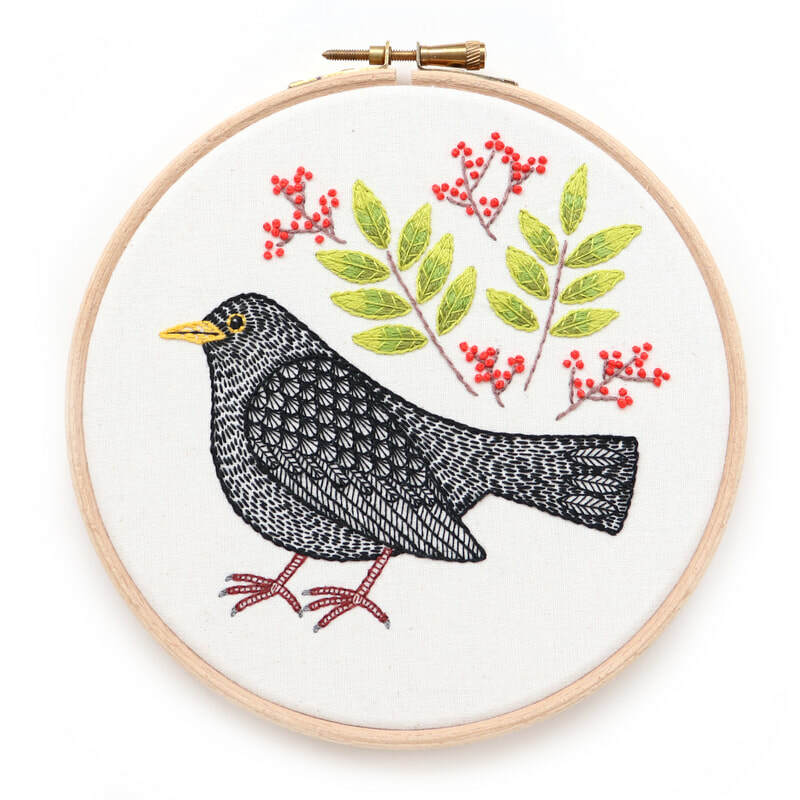 I think of stitching a bit like drawing and painting with thread; drawing shapes, making marks to create texture and building up areas of colour and pattern. 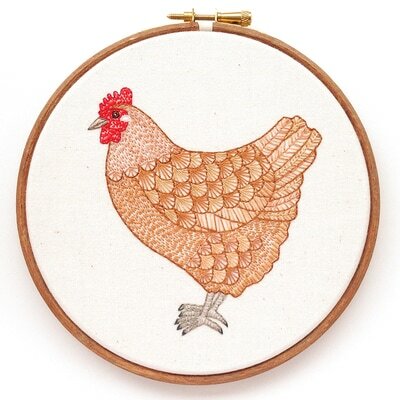 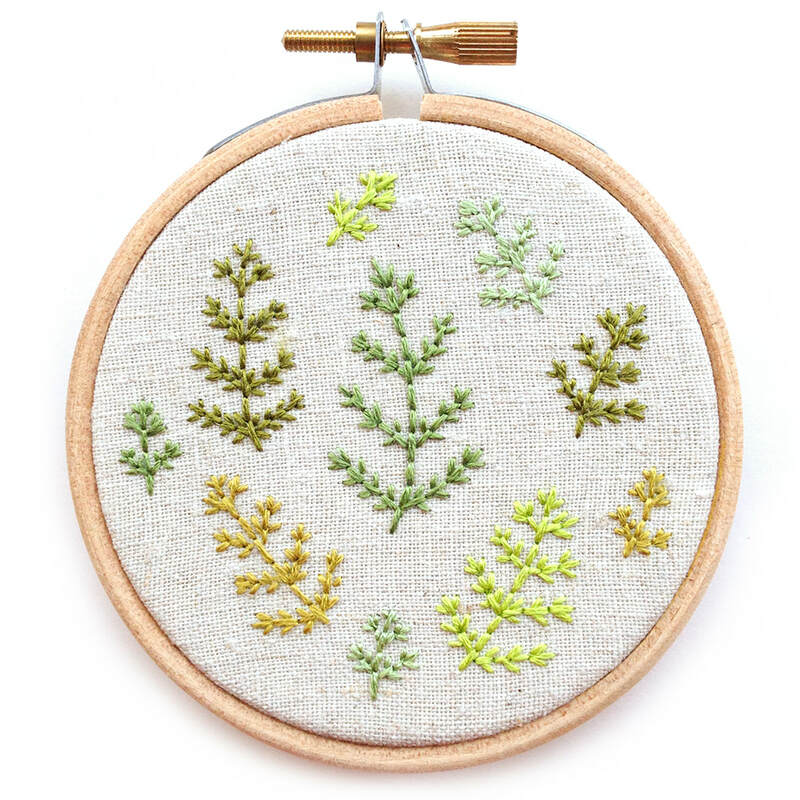 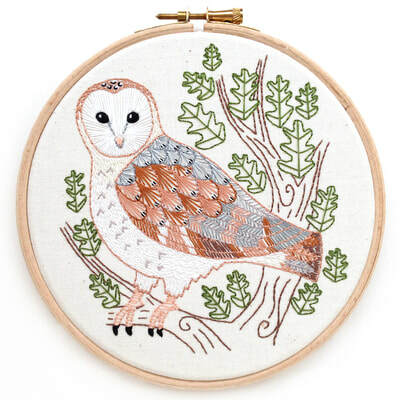 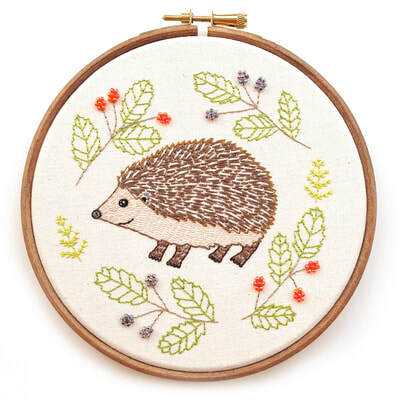 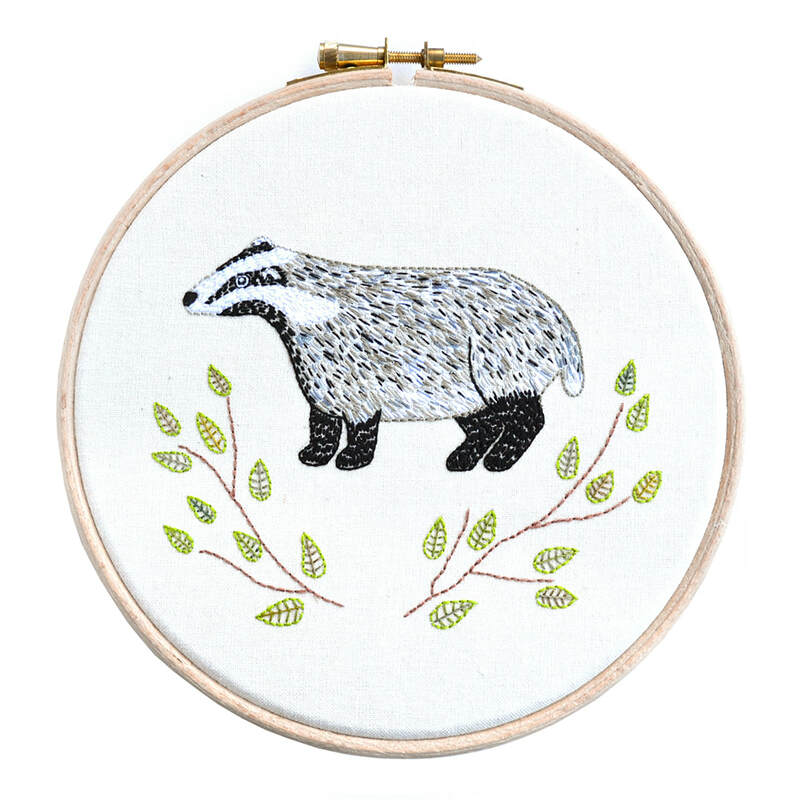 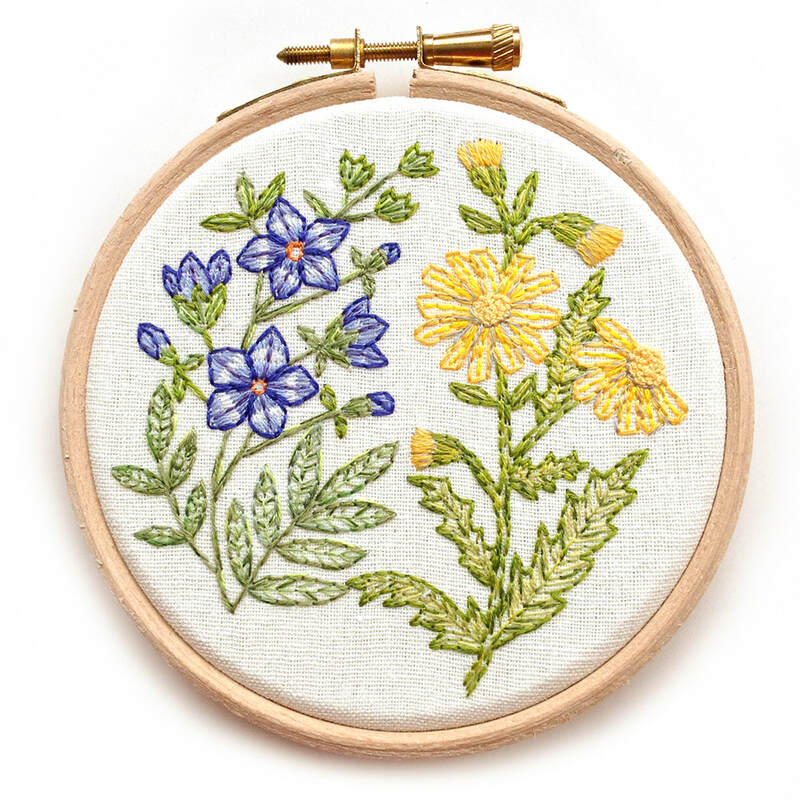 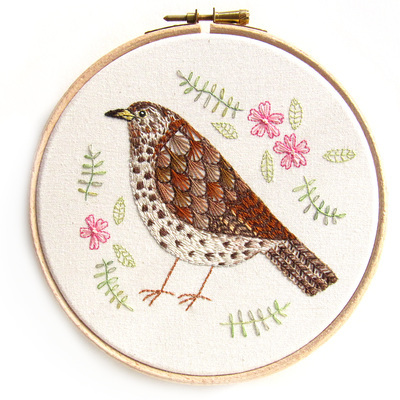 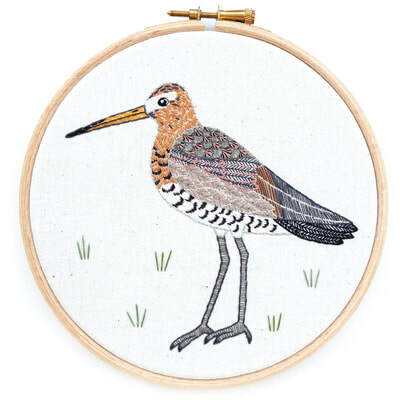 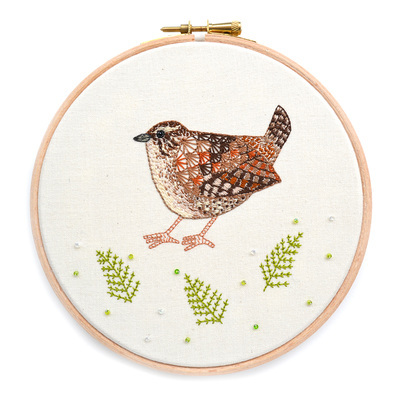 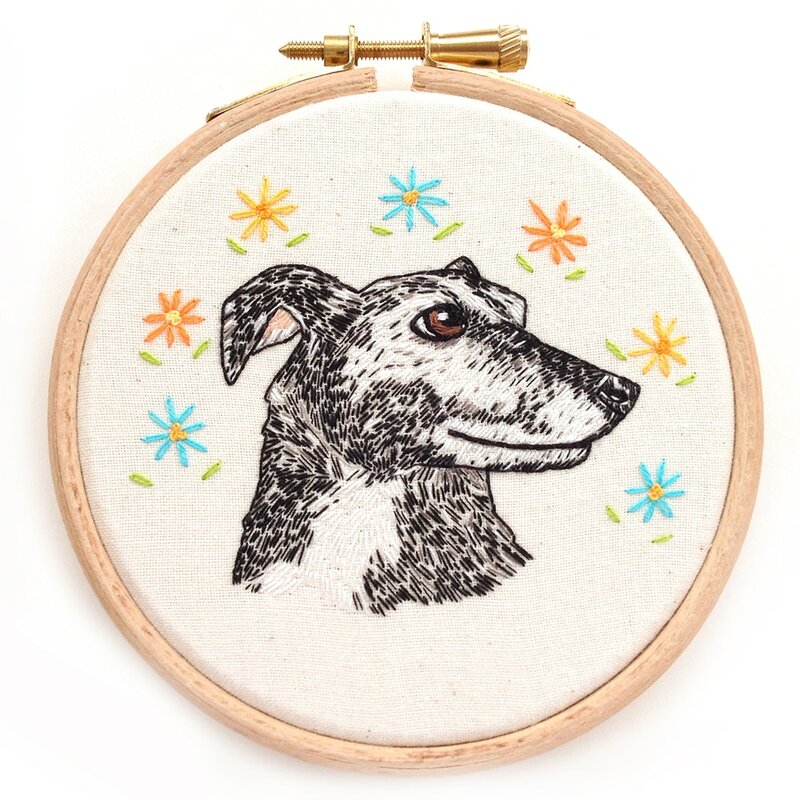 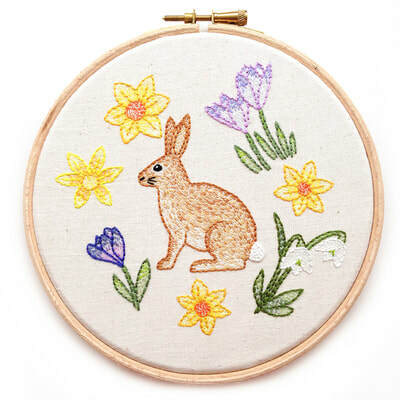 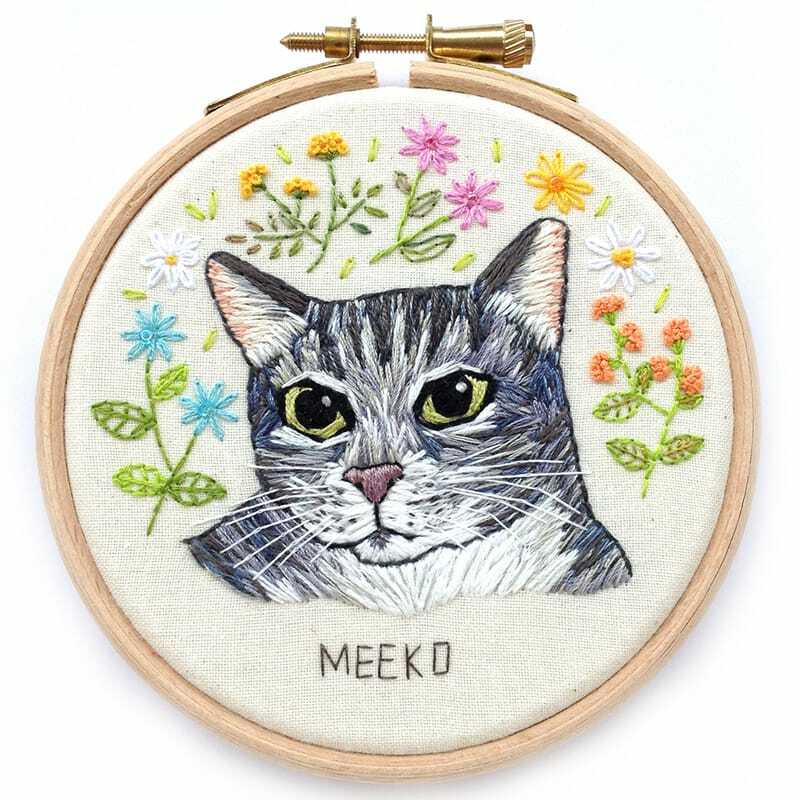 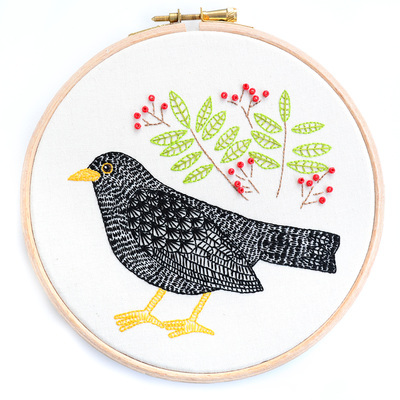 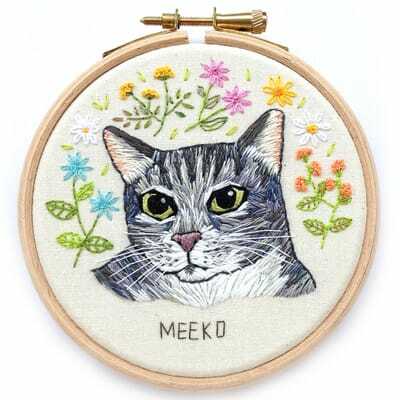 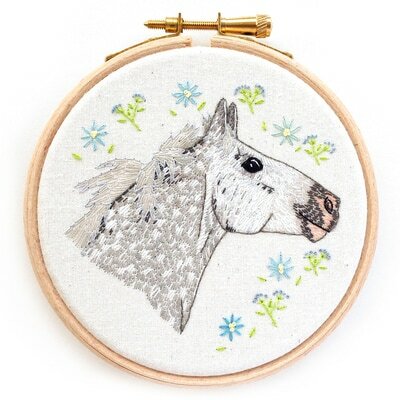 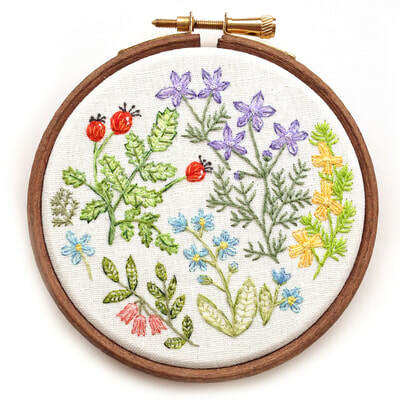 Some of these embroideries are available as downloadable patterns; these are available through my Etsy shop, or see the patterns page for more information. 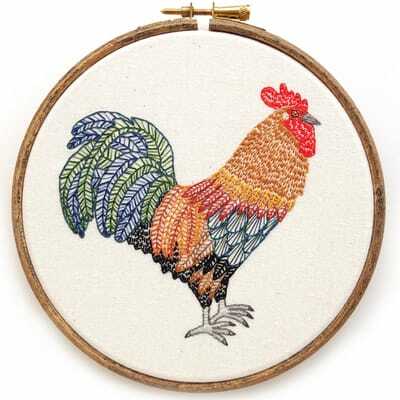 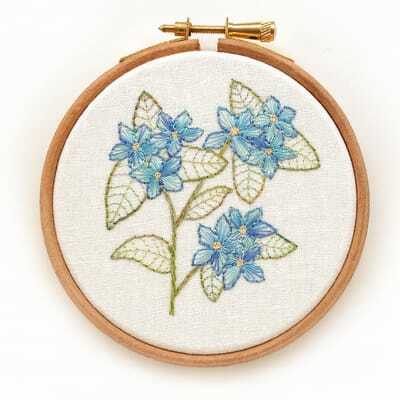 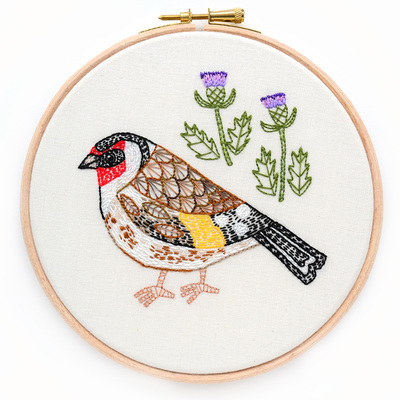 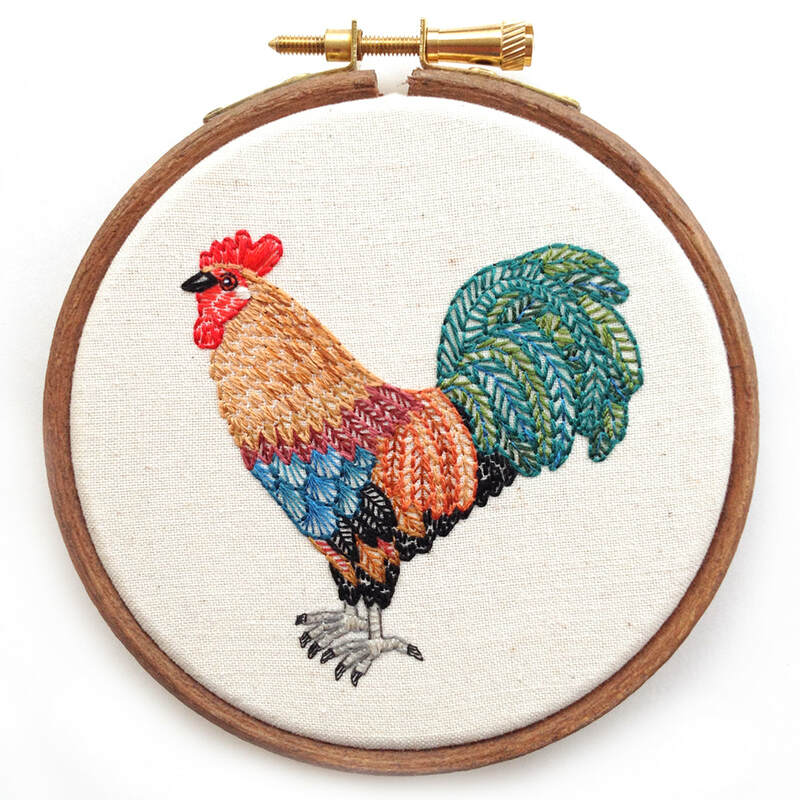 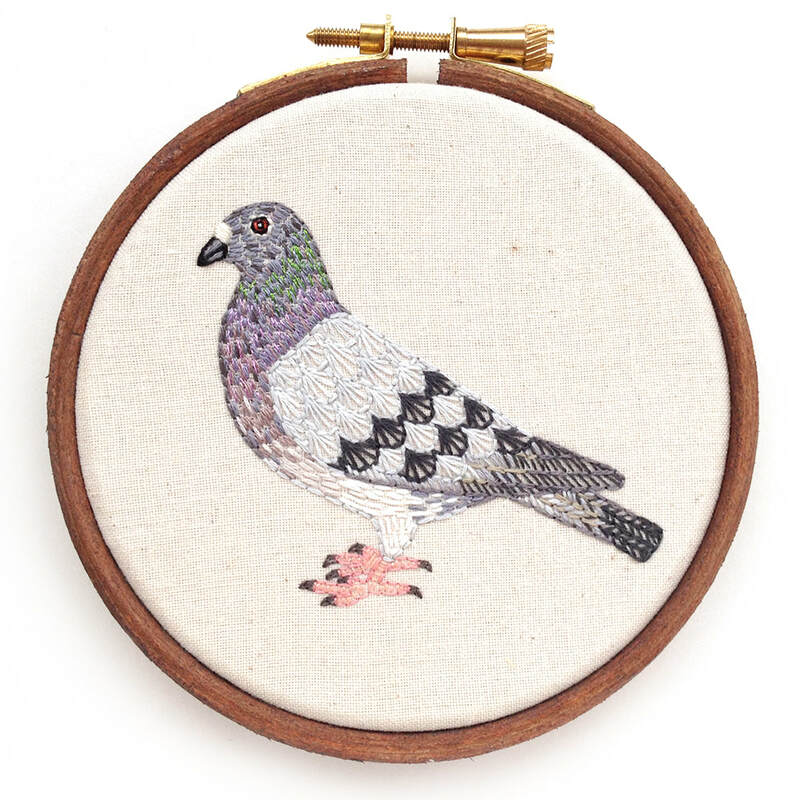 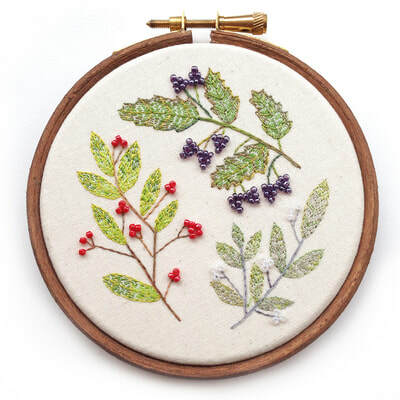 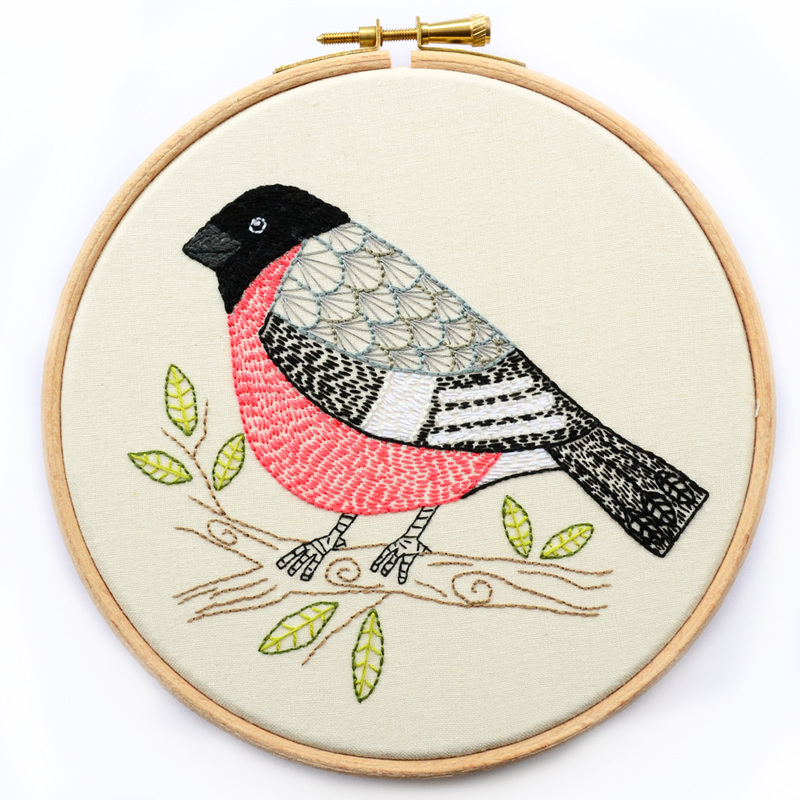 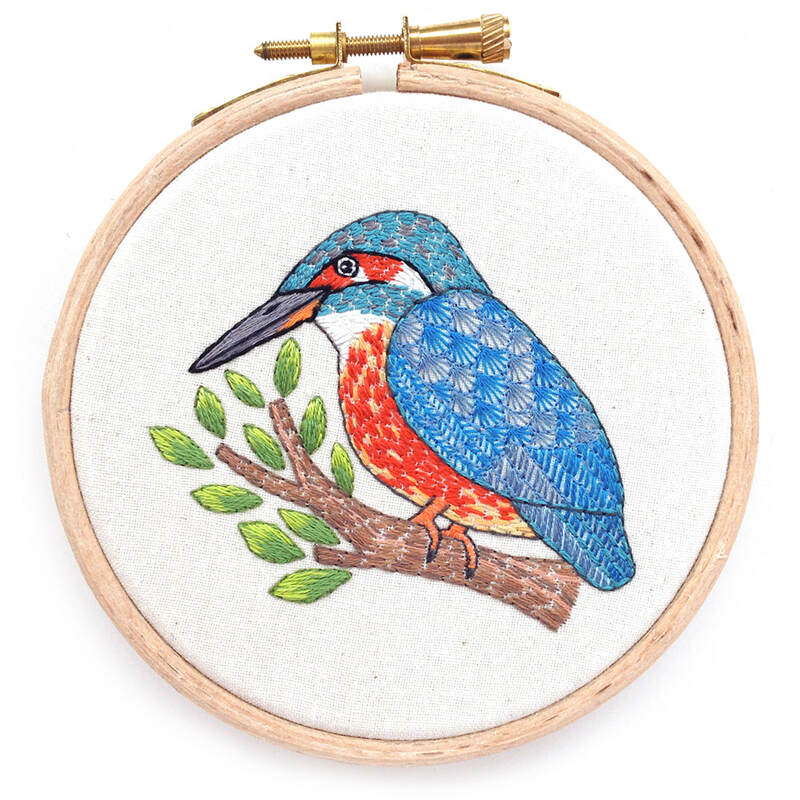 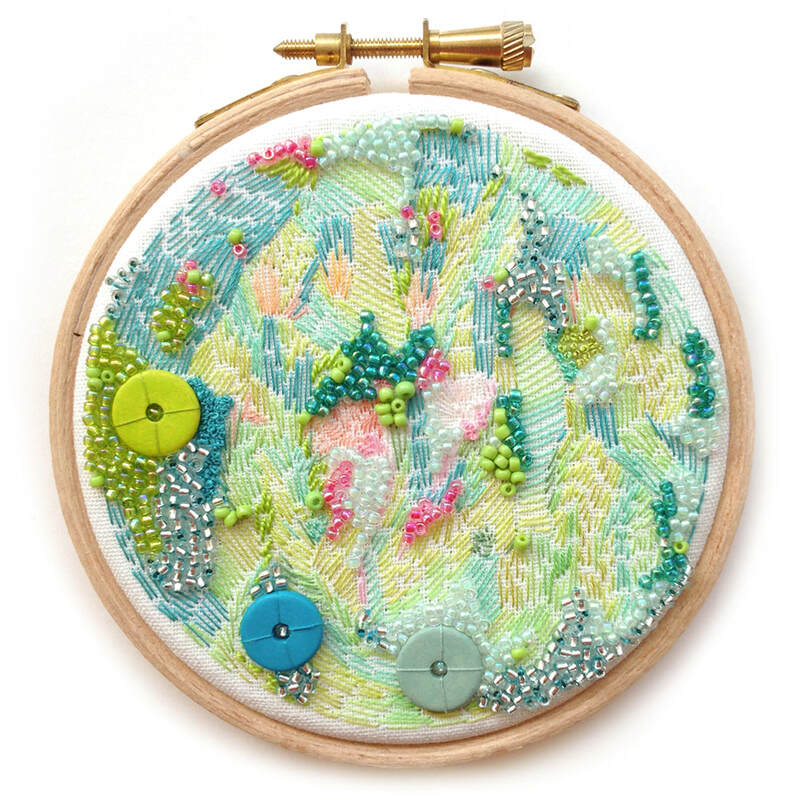 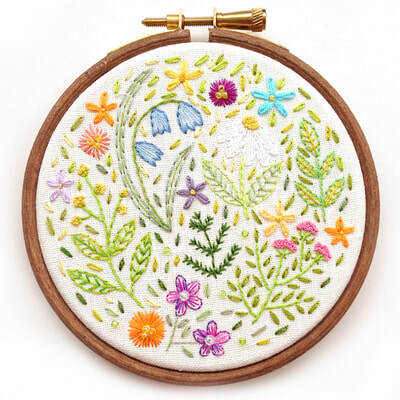 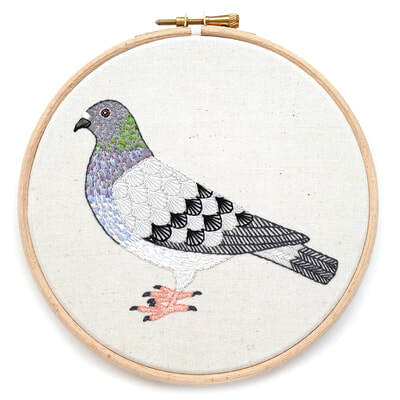 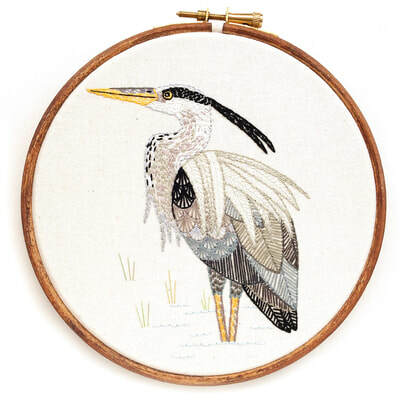 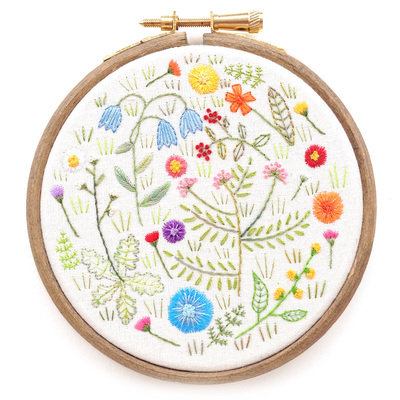 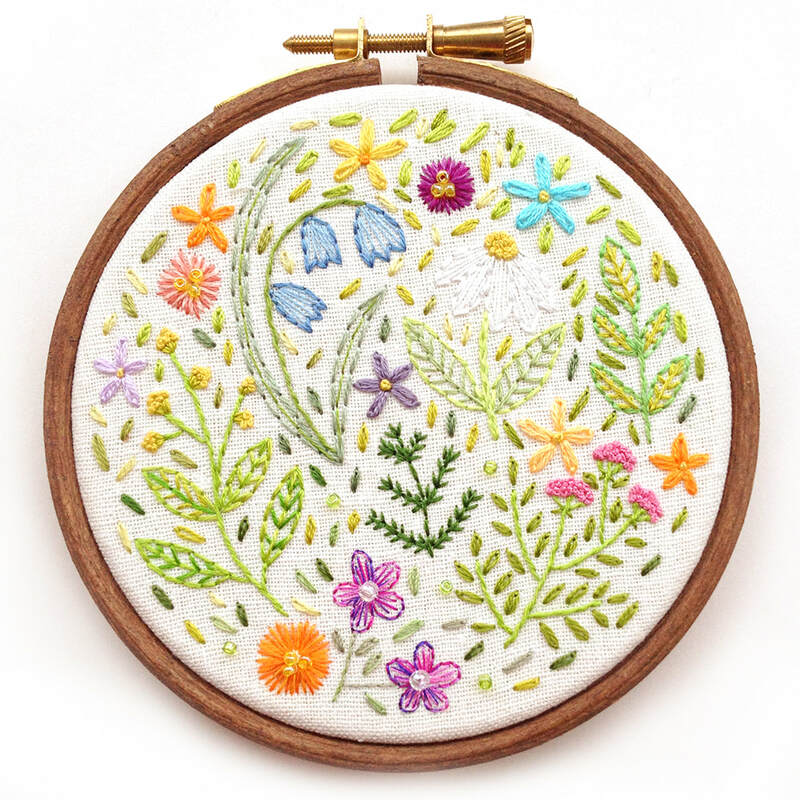 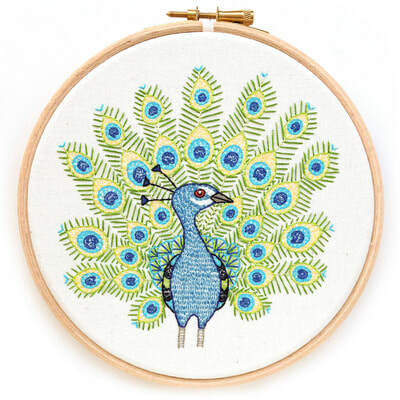 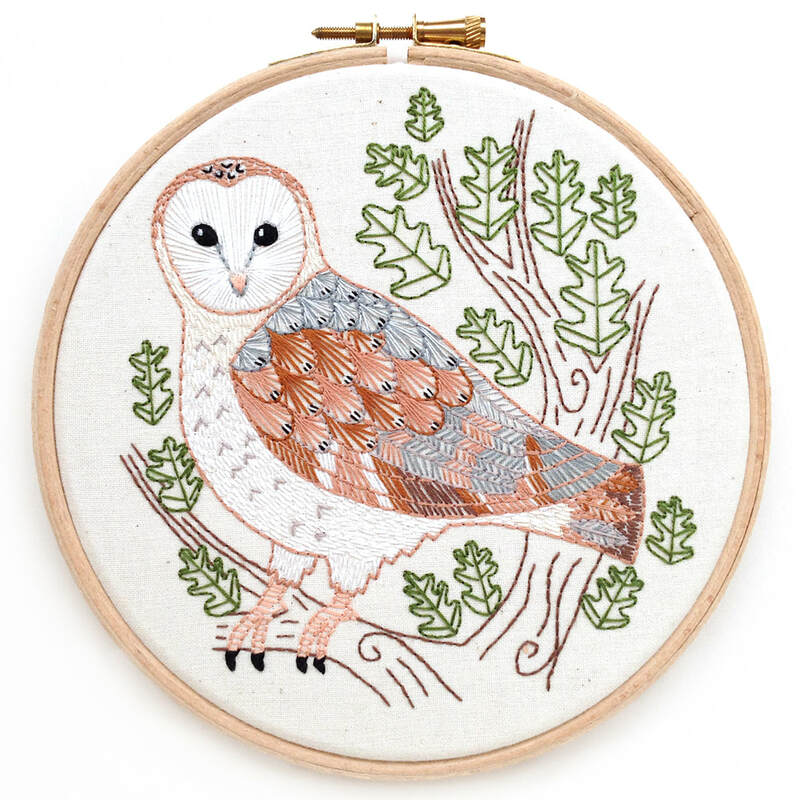 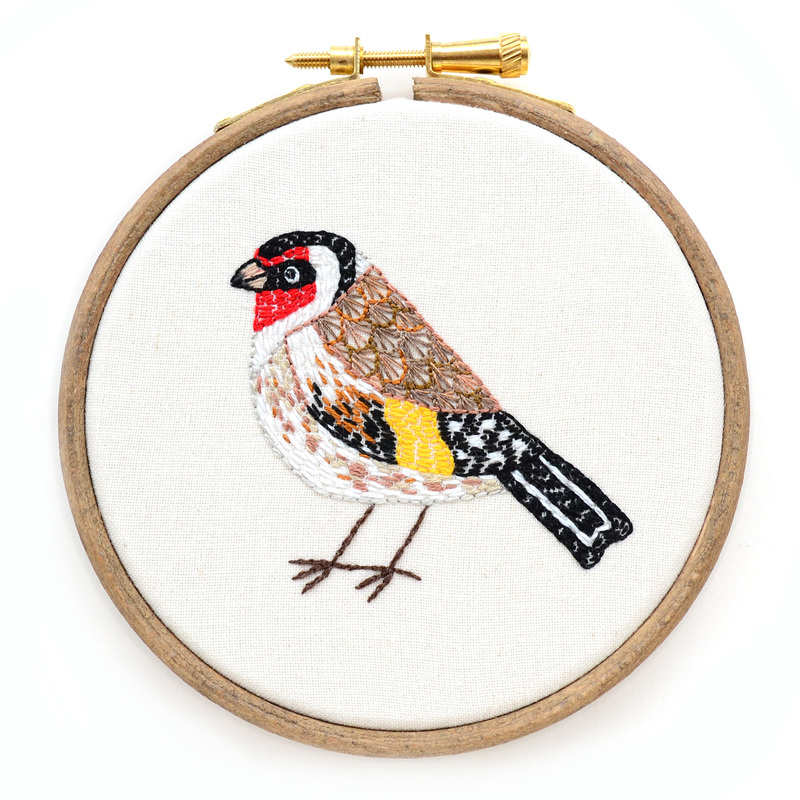 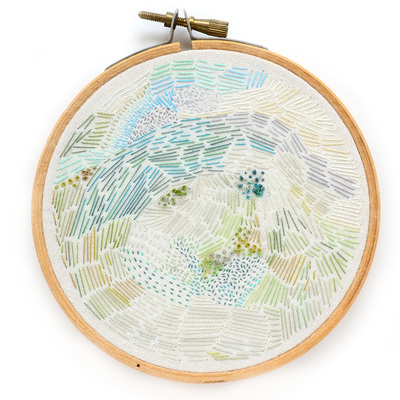 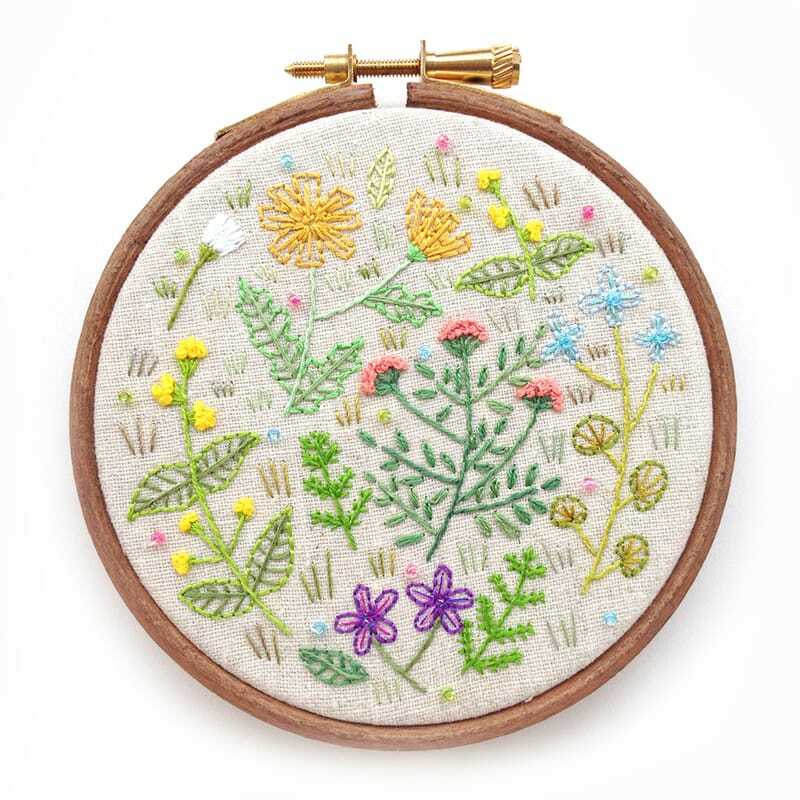 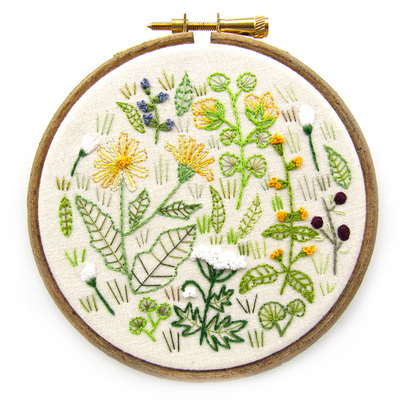 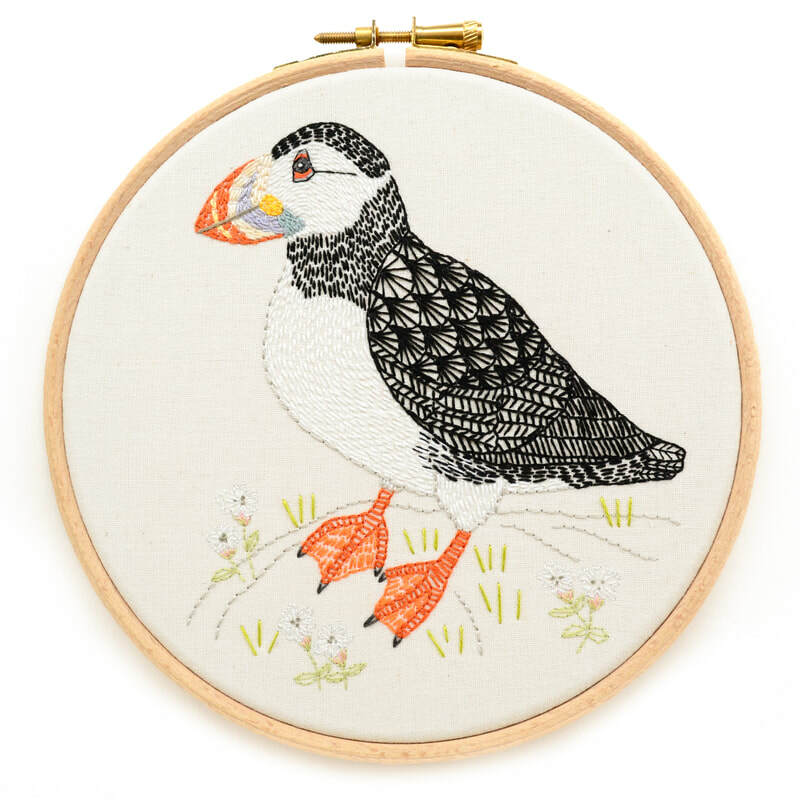 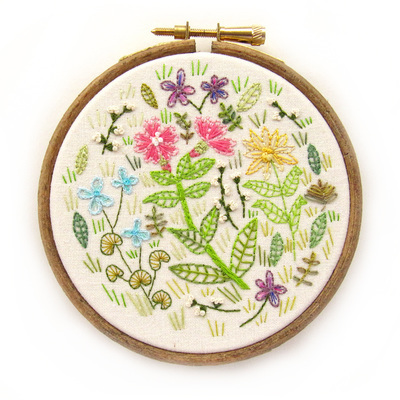 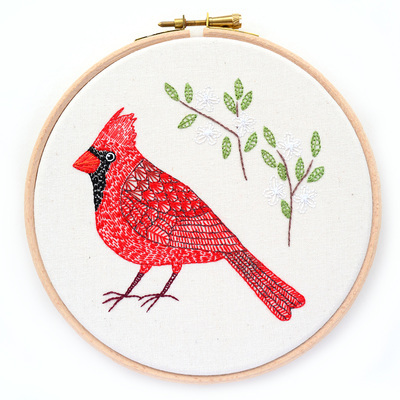 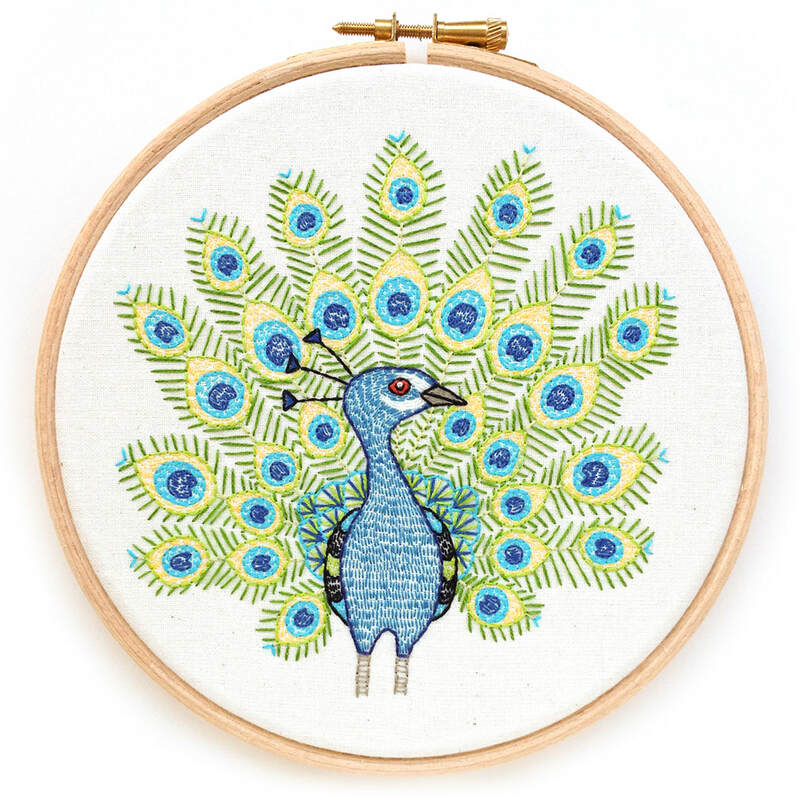 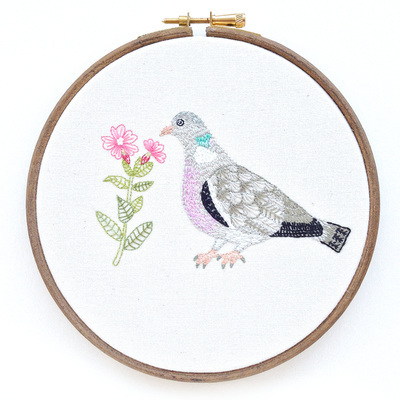 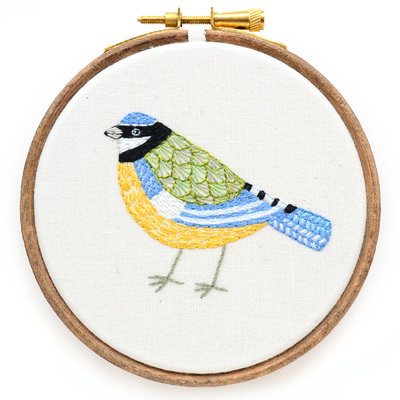 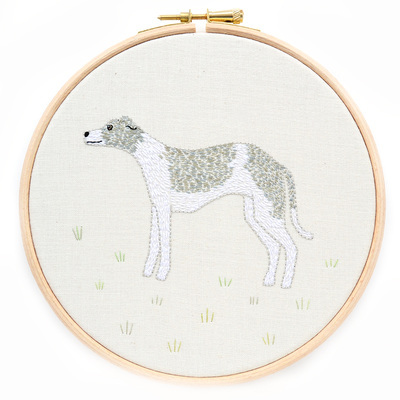 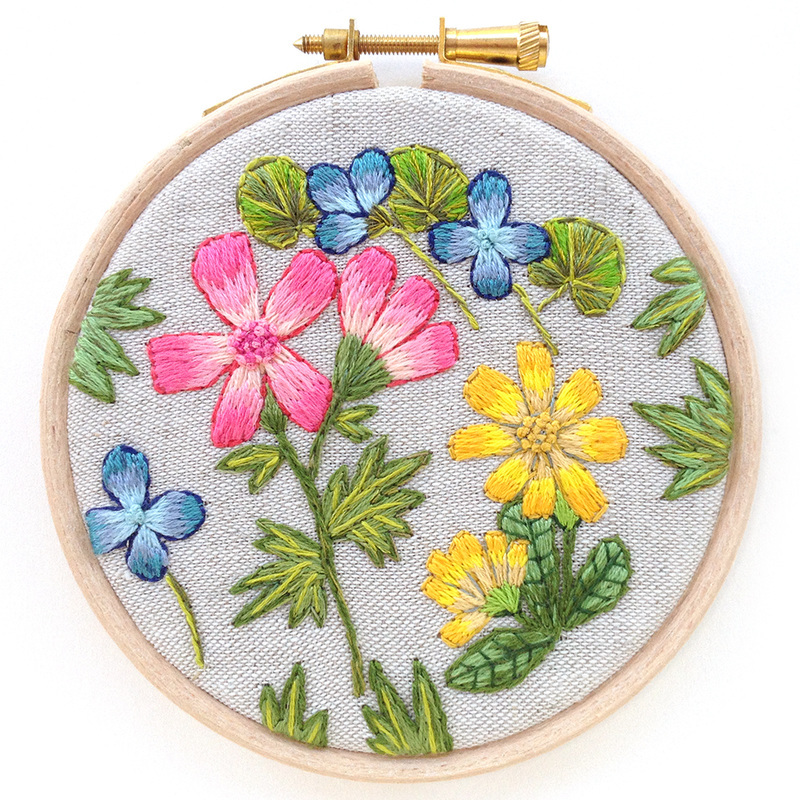 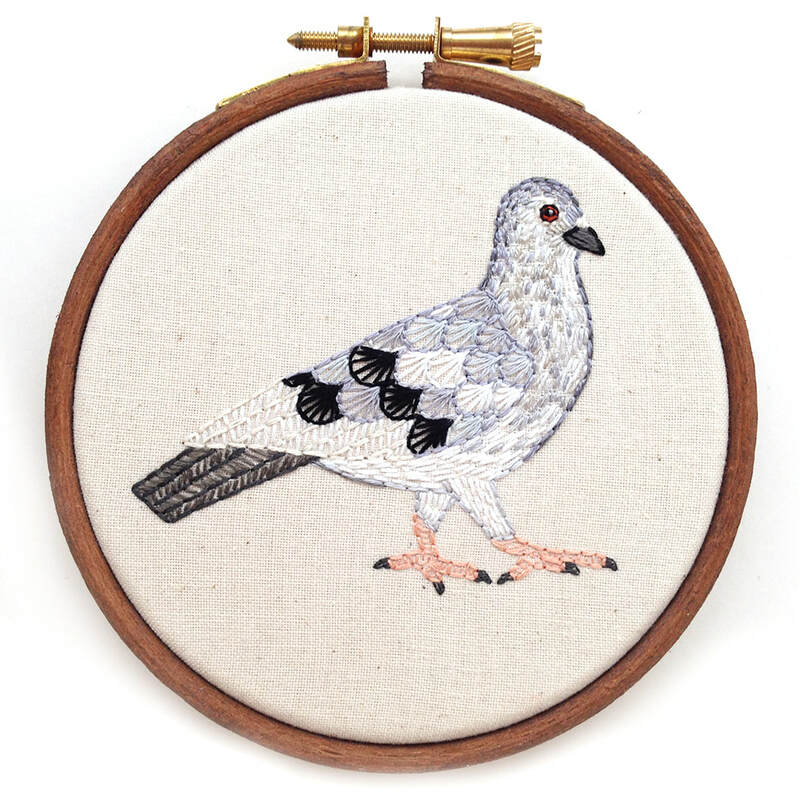 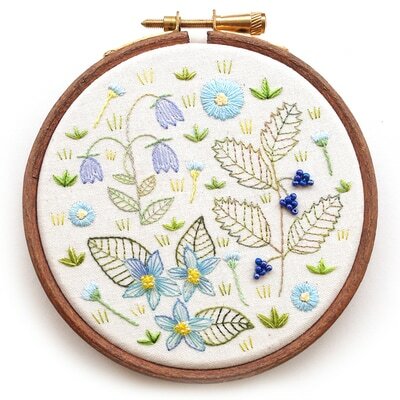 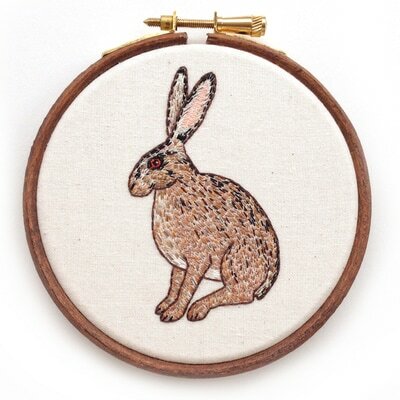 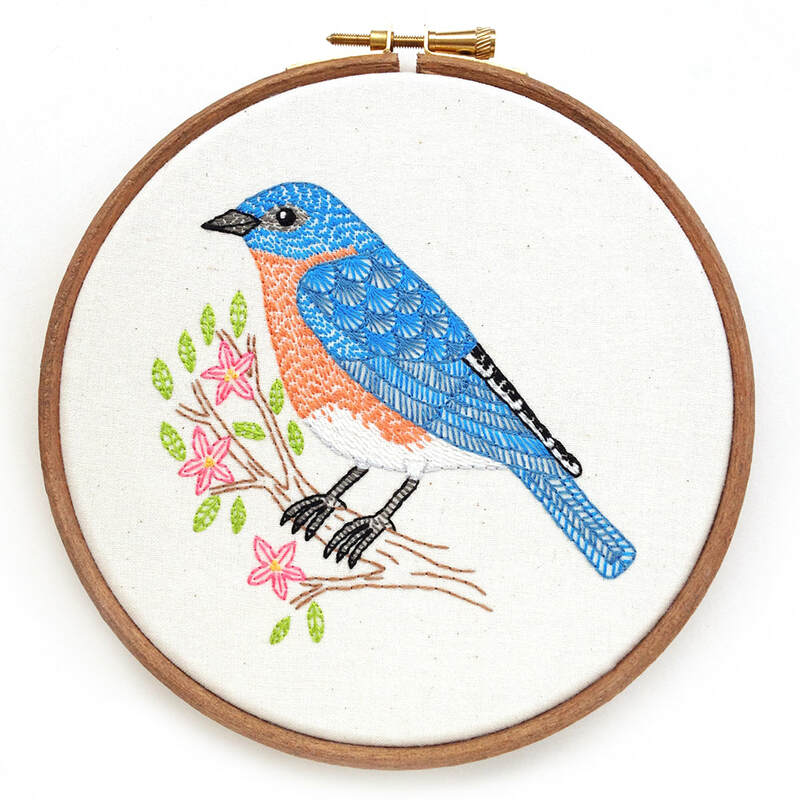 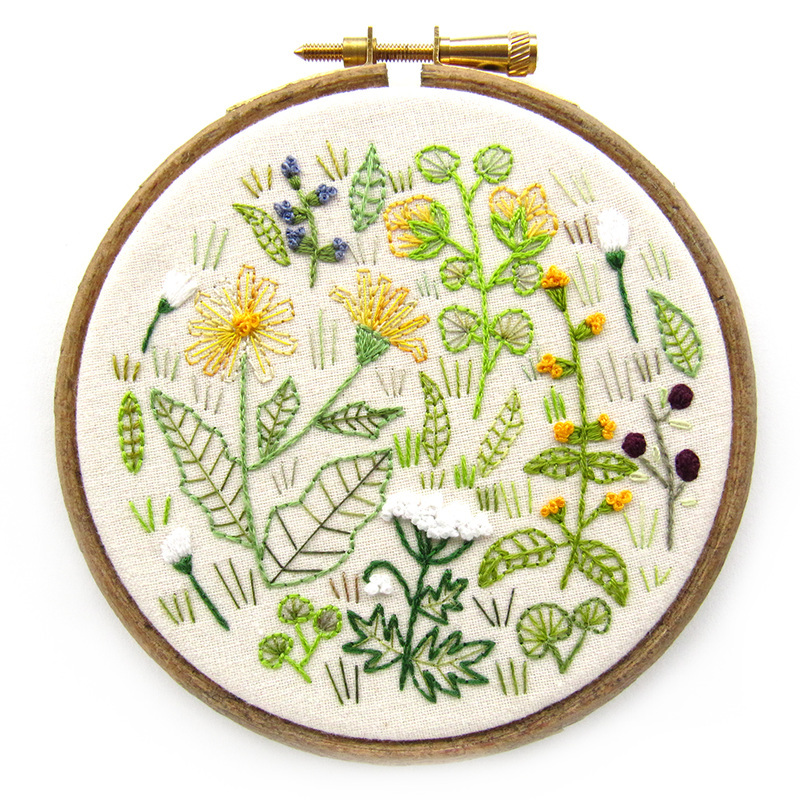 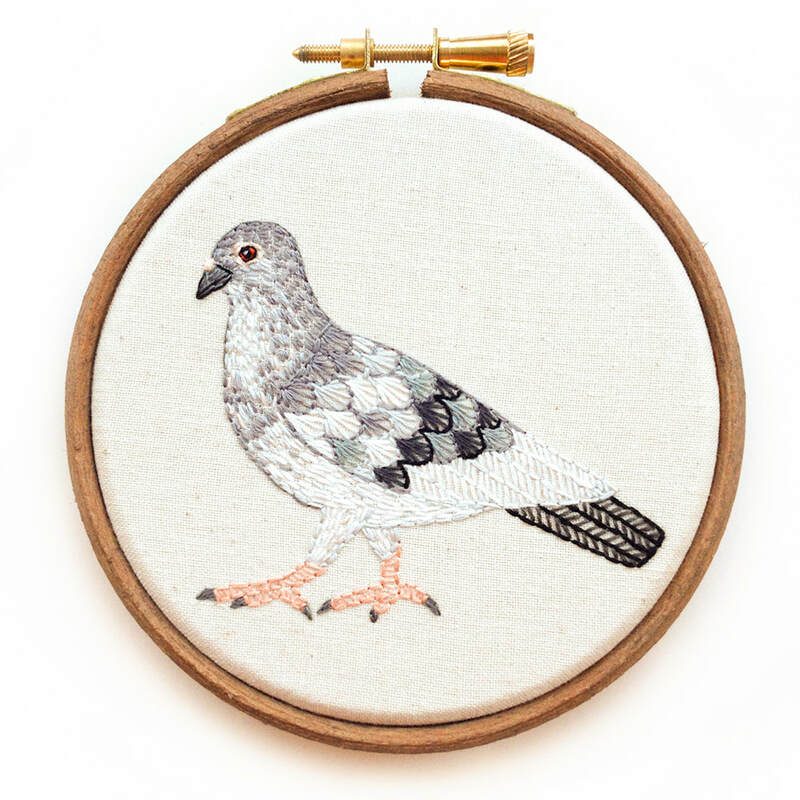 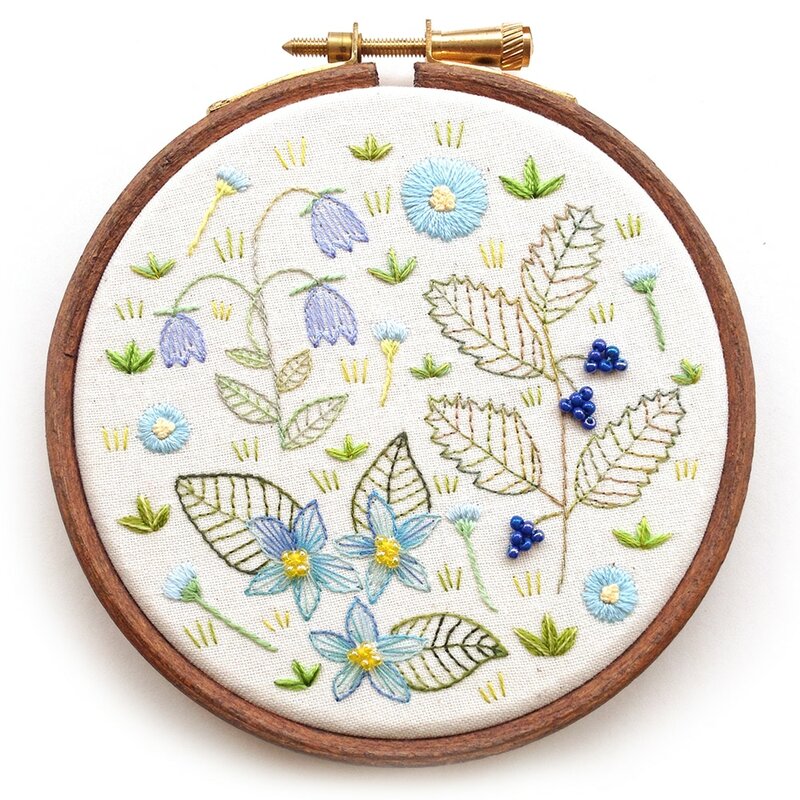 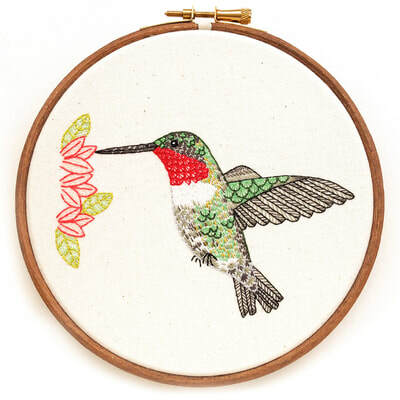 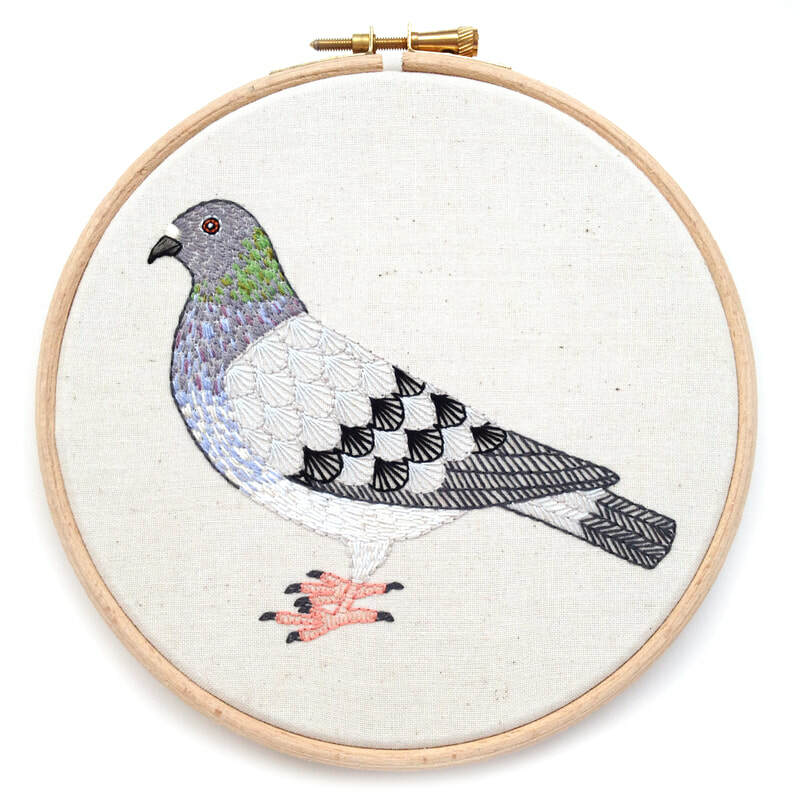 All pieces are framed in embroidery hoops. 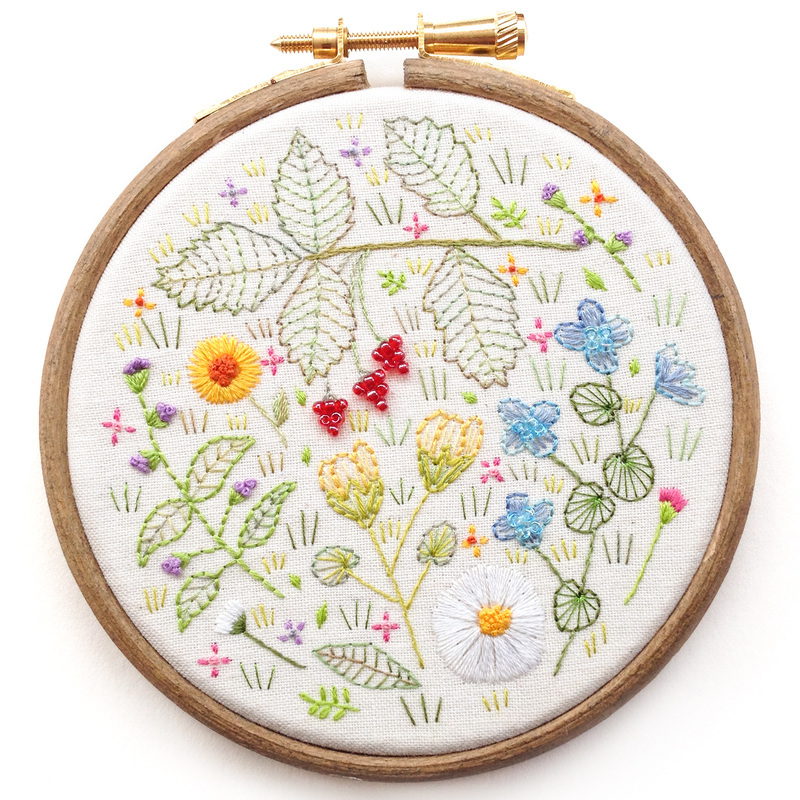 Some pieces of work on this page are for sale through my Etsy shop. 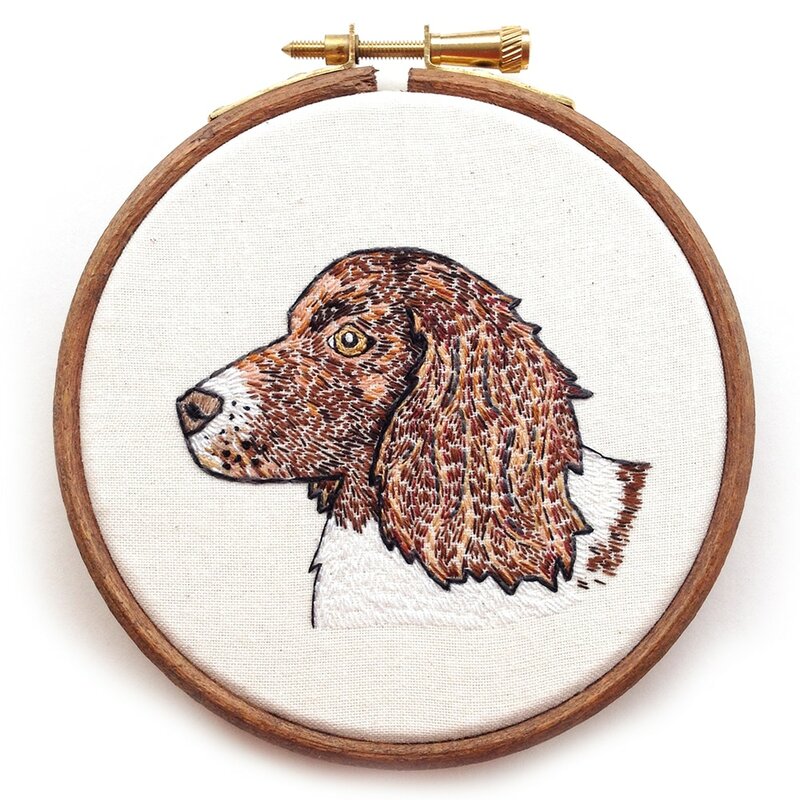 I also take on some custom orders, if you have something in mind, please feel free to get in touch and we can discuss your requirements.